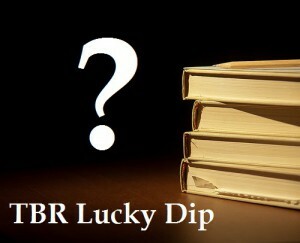 Here you can find details of all my current reading projects and challenges. Some are short term goals but others may take years to complete, so I’m keeping track of them all here. 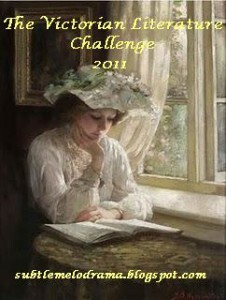 The Victorian Literature Challenge is organised by Bethany of Subtle Melodrama and runs from 1st January until 31st December 2011. I decided to join in as a way of encouraging myself to clear some of the books from my shelf of classics and in doing so I am discovering some great new (well, new to me) books and authors. In fact, I’ve decided that I’m going to try to make all my reads by different Victorian authors to challenge myself even more. My introductory post is here. To encourage myself to read more widely within my own library of unread books, each month I’m using a random number generator to select a book for me to read from my unread collection on LibraryThing. With over 700 books awaiting my attention there’s plenty of variety there and this is my way of making sure I remember them all. It would seem that I am a born collector: give a series of books numbers and I’ll want to read them all. Not that I wouldn’t want to read all the Virago Modern Classics anyway, I hasten to add. This imprint has already introduced me to some great new authors that I’d never have heard of otherwise, and I’m looking forward to discovering more favourites over the next few years. Thankfully there are nowhere near as many Persephone books as there are VMCs (yet), but this is another wonderful publisher who has introduced me to some fantastic forgotten authors. My aim is to read through their entire back catalogue so far, after which I’ll be eagerly awaiting their new publications.